As Joint Advisory Boards across Education City reconfigure, members join and leave the board this year. Two state ministers, a University president, and a communications officer have been appointed to Northwestern University in Qatar’s (NU-Q) Joint Advisory Board. “We are honored to welcome to our board, leaders who are advancing excellence in the local and regional industries and are grateful for those who have played an integral part in our growth as an institution,” said Everette E Dennis, dean and CEO. Joining NU-Q’s board are His Excellency Dr. Hamad bin Abdulaziz Al-Kuwari, state minister with the rank of deputy prime minister. 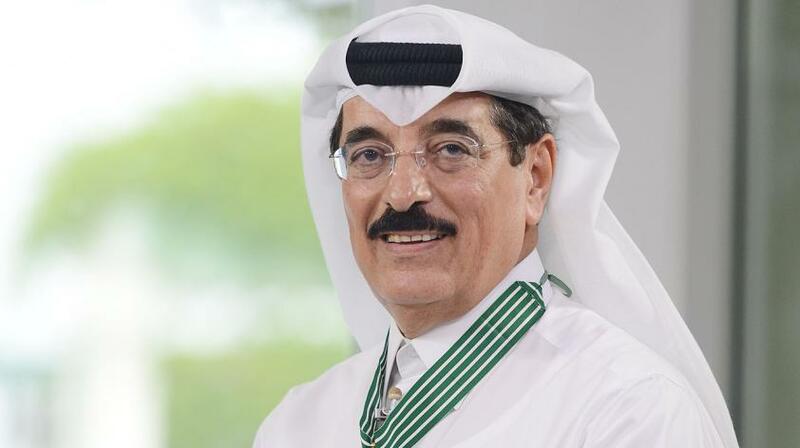 Dr. Al-Kuwari was formerly the Minister of Culture, Arts and Heritage of Qatar (2008-2016). He was previously the Ambassador of Qatar to France, the United States, United Nations Educational, Scientific and Cultural Organization and the UN. Dr. Al-Kuwari was also a candidate in 2017 election of the Director-General of UNESCO. Another state minister His Excellency Hassan Abdullah Al Thawadi, secretary general of the Supreme Committee on Legacy and Delivery, also joins. Al Thawadi was managing director of Qatar's successful bid for the 2022 World Cup and worked at Qatar Petroleum, Qatar Investment Authority, and Qatar Holding. He graduated in law from the University of Sheffield. Dr. Ahmad Hasnah, president of Hamad Bin Khalifa University and formerly an ex-officio member of JAB. Joining Qatar Foundation in 2002, Dr. Hasnah has been a key player in the development of Education City in to a unique hub for creating, sharing, and finding practical uses of knowledge through partnerships with world-class educational and research institutions. Dr. Hasnah holds a PhD in Computer Science from the Illinois Institute of Technology, USA. He graduated from University of Qatar in 1990 with a Bachelor of Science in Mathematics and Physics. The new ex-officio member is Mayan Zebeib, chief communication officer of Qatar Foundation. Zebeib established the QF Marketing Department when she joined Qatar Foundation in 2007. She successfully led the launch of QF’s first integrated international marketing campaign, and spearheaded numerous communications campaigns across QF entities and centers. A new board appointment this year, NU-Q welcomes Samir Mayekar, a member of the NU Board of Trustees and President of the Northwestern Alumni Association. Departing the board is longtime co-chair since 2008, Her Excellency Sheikha Hind bin Hamad Al-Thani, CEO of Qatar Foundation; His Excellency Sheikh Ahmed bin Jassim Al-Thani, formerly minister of economy and commerce and director-general of Al Jazeera; and Maryah Al-Dafa, executive director for strategic planning and special projects at HBKU.